Below you will see some pictures of my lashes before and after applying the Eyeko Curvy Brush mascara. This UK based mascara has found it's way to the US in Sephora stores, and of course online at Eyeko.com and sephora.com. This $19 mascara features two ingredients that I am not used to seeing in mascara, shea butter and keratin. The curvy brush on this wand coupled with the aforementioned key ingredients work to curl your lashes and keep them curled for 12 hours. I review this prodct in the video so check out some pictures before and after. In this picture you are looking at my naked natural lashes. As you can see there is a natural slight bend to my lashes already. I do not use an eyelash curler ever. 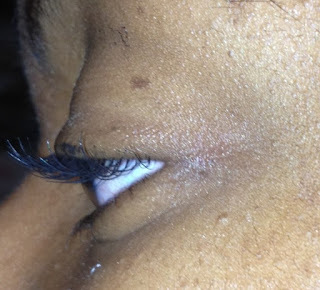 Here are my lashes from the front, where you will see that they don't stand out too much on their own. Now I've applied one coat of the mascara can you see more of a curve to my lashes? This looks like more of a curve than you see in the first picture before I applied the mascara. You may also notice that some of the mascara got onto my skin. In the next picture I only have the mascara applied on my eyelashes on the right side of the picture. Do you see a difference between my natural naked lashes and the lashes with one coat of the curvy brush? This is what I meant in the video when I said that this mascara gives me a very natural look, you can tell that something may be doing on but it is not dramatic. For those who like the natural look I like this product may be a winner for you. 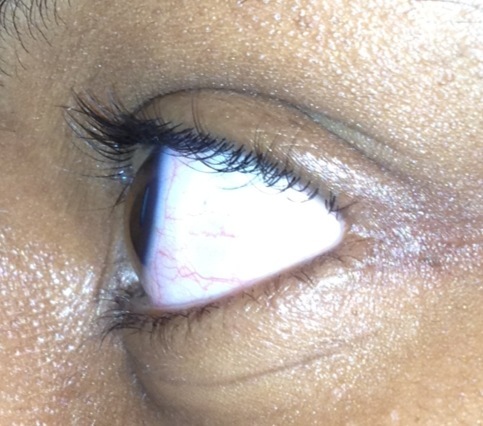 Here my lashes even appear to have more volume on the right side of the picture. I have to say that I did not experience any clumping with this mascara. As i mentioned in the video it is very wet which is one reason why I think you can see the mascara on my skin, if your eyelashes touch your skin while the product is still wet, it will be deposited on to your skin. Due to the formulation of this product, adding multiple coats, does not leave my lashes feeling brittle or weighed down. 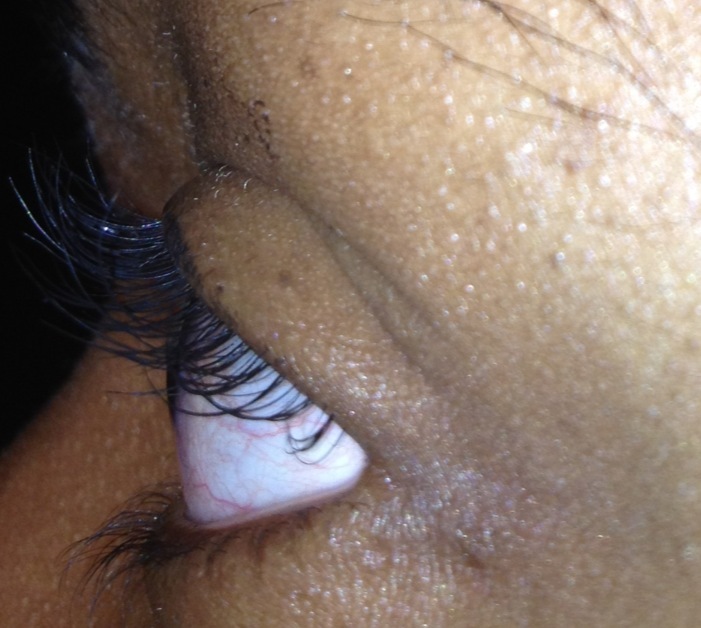 When you compare my lashes on the left (naked) to the lashes on the right, you do see a difference. Here are my lashes all done up on another day. Have you tried Eyeko mascara?